The origins of the church and the ossuary date back to the thirteenth century and are linked to the history of the Brolo hospital that now no longer exists. 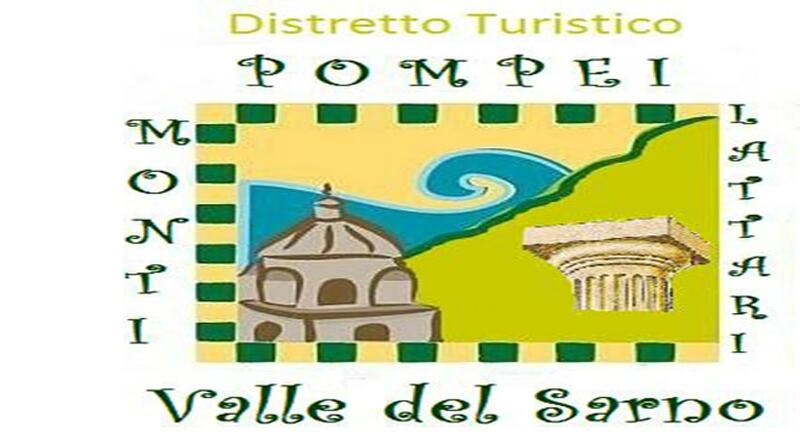 In 1642 both edifices were severely damaged by the collapse of the bell tower of the nearby church of Santo Stefano. The ossuary was rapidly repaired and the church was rebuilt in 1750 in Baroque and Rococo style by architects Andrea Biffi and Carlo Giuseppe Merlo, the latter of which worked on the project for the main spire of the Duomo. 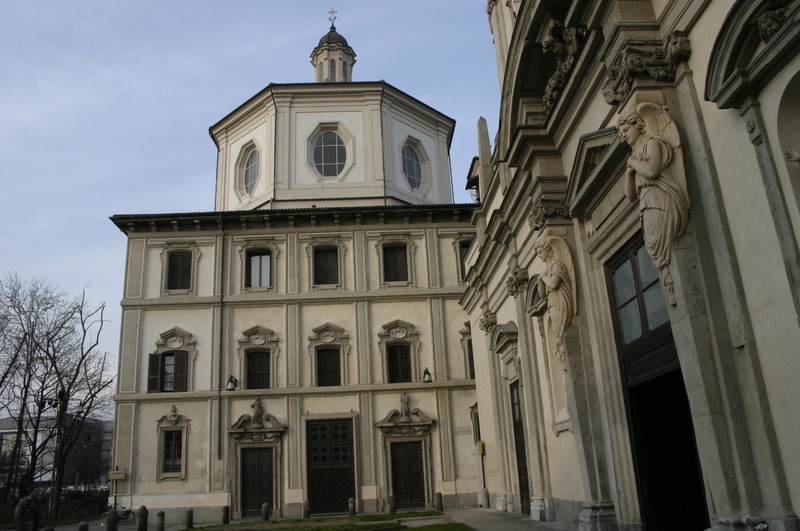 Due to the regular alignment of the windows on the exterior the façade is more reminiscent of a stately eighteenth-century palazzo than a baroque church. The interior of the church has an octagonal plan with two side chapels and baroque marble altars. A narrow corridor to the right of the entrance gives access to the chapel ossuary. It is a small square room adorned with an altar and a niche with the statue of Madonna Addolorata (Our Lady of Sorrows) kneeling before the body of Jesus. 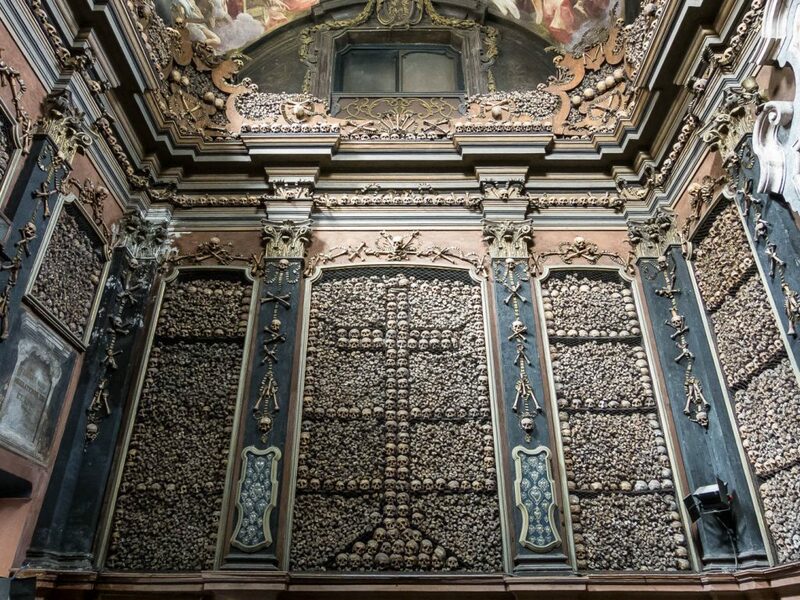 The walls are almost entirely covered with skulls and bones, arranged in niches and on cornices, pillars and doors. They are believed to be the remains of the deceased from the Brolo hospital, from the corpses taken from the defunct seventeenth-century cemeteries. The skulls enclosed in cases above the door are those of executed prisoners. 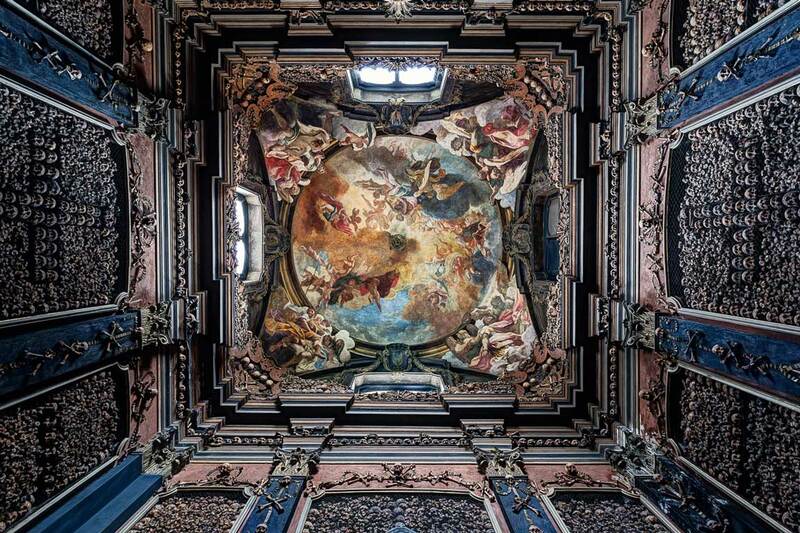 The ossuary chapel was once decorated with frescoes by Sebastiano Ricci, a precursor of Tiepolo who introduced Venetian Baroque painting to Milan. 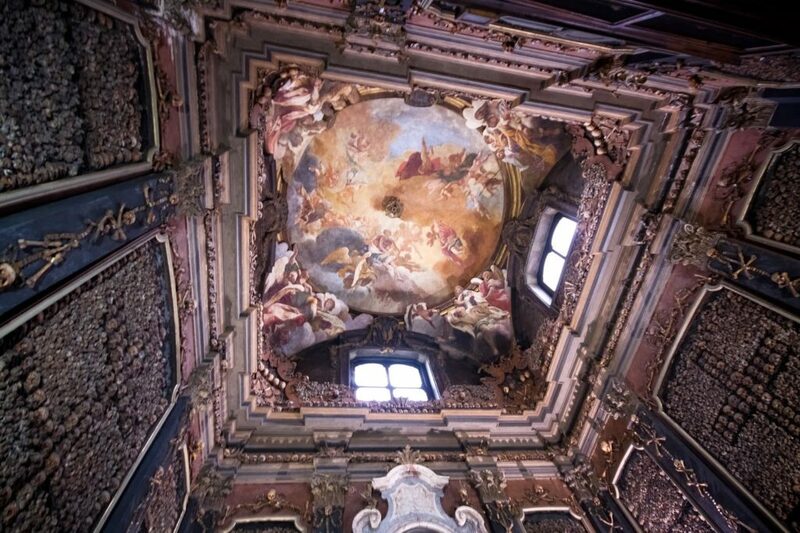 They represented a "Triumph of souls in a flight of angels" and the glory of the four patron saints: Santa Maria Vergine, S.Ambrogio, S.Sebastiano and S.Bernardino da Siena.